Powell, Wyo. 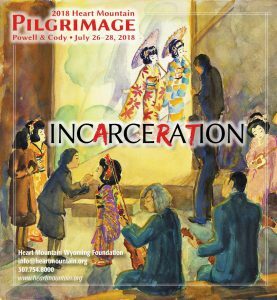 (July 20, 2018) — Each year hundreds of visitors make a ‘pilgrimage’ to the Heart Mountain National Historic Site, where 14,000 people of Japanese Ancestry – two-thirds of whom were U.S. citizens – were unjustly incarcerated during World War II. The journey is taken by former incarcerees, their descendants, friends, and members of the public who seek to understand this dark and poignant history and its impact on us today. This year’s gathering will take place from July 26-28, with a focus on art— in any form — either created in confinement or inspired by the Japanese American incarceration experience. In keeping with the arts theme, this year’s pilgrimage will feature performances by musicians Kishi Bashi and No No Boy Music. Attendees will also be able to view “The Mountain Was Our Secret,” an exhibit of artwork by Heart Mountain incarceree Estelle Ishigo. The exhibit includes ten of Ishigo’s watercolor paintings on loan to Heart Mountain from the Japanese American National Museum in Los Angeles. Additionally, Sharon Yamato will host a screening of her short documentary, “Moving Walls,” and Dianne Fukami will present an excerpt from her new film, “An American Story: Norman Mineta and His Legacy.” A select group of participants will also be screening short films they will create during the pilgrimage’s digital storytelling workshop, led by Jeff MacIntyre and David Ono. The event also boasts an impressive roster of speakers. Sam Mihara, winner of this year’s Paul A. Gagnon prize from the National Council for History Education, will speak about his experiences growing up in the Heart Mountain camp. Senator Alan K. Simpson and former United States Secretary of Transportation Norman Mineta will recount how they met as boys at Heart Mountain, when Simpson’s scout group visited their counterparts behind the barbed wire fence. David Inoue, executive director of the Japanese American Citizens League, the oldest and largest Asian American organization in the United States, will provide the event’s keynote presentation. The Heart Mountain Wyoming Foundation preserves the site of the World War II Japanese American concentration camp outside of Powell, Wyoming and tells the stories of the people imprisoned there. 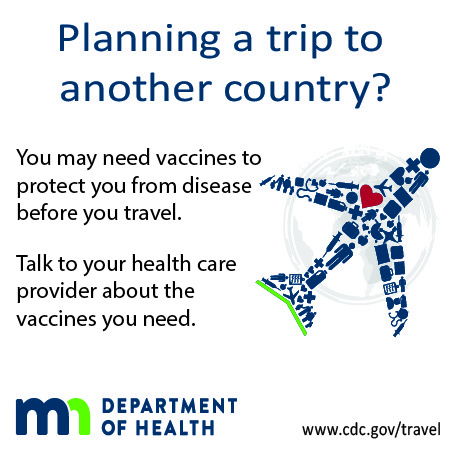 For more information on the foundation or the pilgrimage, call Heart Mountain Interpretive Center at (307) 754-8000 or email [email protected]. I’m bringing a carved wooden frog that my grandfather made while in camp. Who do I contact at the Pilgrimage about this frog? I also have a beautiful tatting doily (12″ wide) that my grandmother made while in camp. I also have a beautiful sweater she made but I can’t find it now. I do have a photo of her wearing it. Will I be able to find the barrack location while there? The family is Yokoi. My mother’s family were “Yes-No”, so they went to Tule Lake & then repatriated to Japan. My mother met my father who was in the Army’s occupational forces. I was born in Japan but was raised in Ohio.